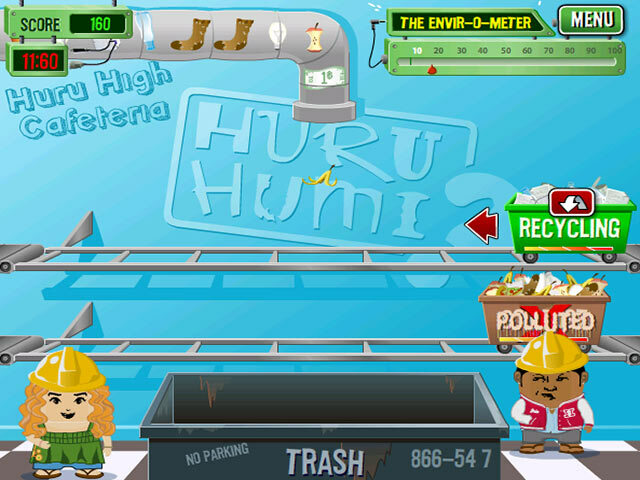 The eco-conscious Huru Humi kids need help sorting recycling, compost, and trash. 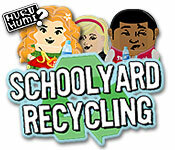 Roll up your sleeves and lend some green power!Go green with the Huru Humi kids.The Huru Humi kids wanted to save the planet, so they started the Huru Humi Schoolyard Recycling Program in their cafeteria. 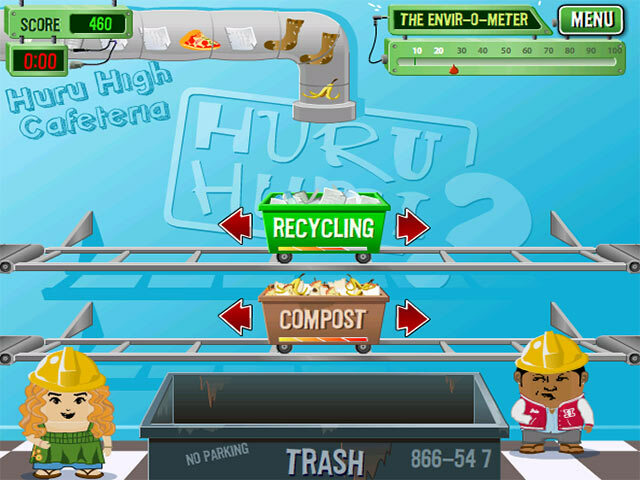 Help them sort recycling, compost, and trash in this eco-conscious online arcade game. Click the arrows to move the bins. Use the red button to empty full bins. Catch the falling $1 bills for extra green. Track your progress with the Envir-o-meter. Do you have what it takes to be a green guru? 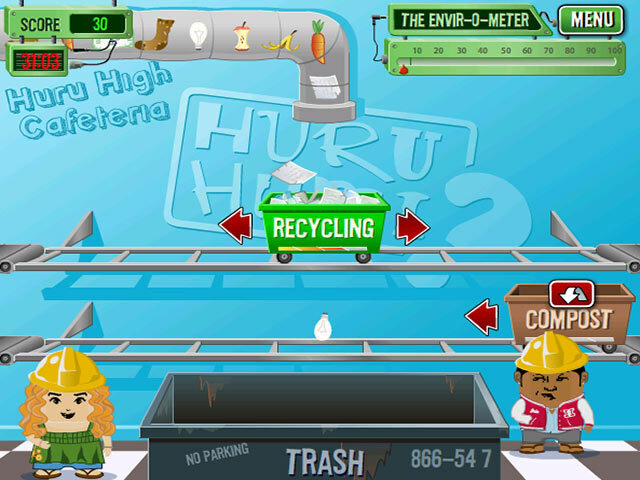 Reuse, reduce, and recycle with the Huru Humi kids and find out.